The makers of Half-Life, Team Fortress and Portal are taking popular Warcraft III mod Defense of the Ancients and making it their own. The man behind it all gets into the nitty-gritty of the all-new Dota in a new Q&A. Icefrog, the man tasked with overseeing development of the original Dota, explains on the official site for the recently revealed Dota 2 some of the action RTS's finer points. 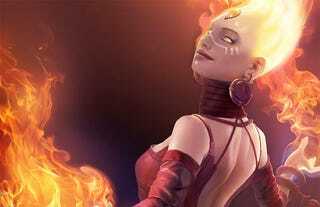 Dota 2 is planned for release on PC and Mac next year, but Icefrog calls the game a "long term project" with tweaks, additions and new features planned for the future. More details at the newly launched official site.